Summer means blackberries for us here in North Alabama. 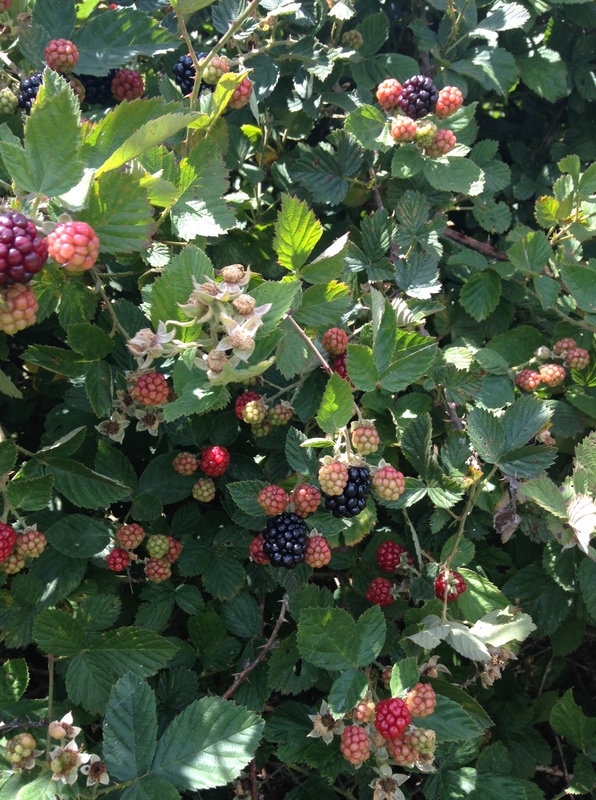 These blackberries grow in a field and on the fence line near our home. Even though our neighbor cleared most of them out of his field last year, we have enough on the fence line and into our yard that we still get to reap the benefits. 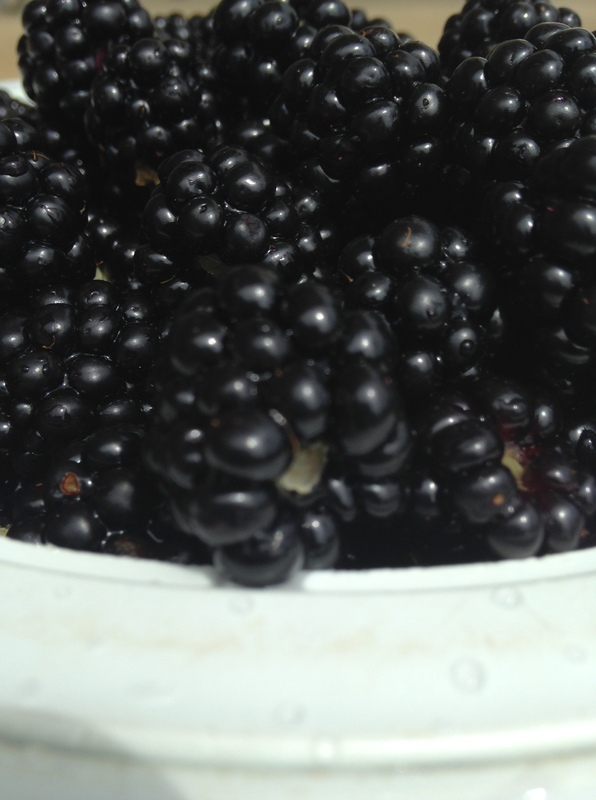 Last week I picked my first basketful of plump berries. My son is waiting on the first seedless blackberry cobbler I’ll make. I blend the berries in a blender and strain the seeds with a fine mesh strainer. I add sugar to the seedless fruit and cook on the stove until it barely simmers. No need to add any type of thickening agent. For the bread part of the cobbler, I use White Lily self-rising flour, milk, and sugar. In my cobbler dish I melt real butter in the oven, pour the dough over the hot butter, then pour the fruit right in the middle. Mom always said, “Don’t stir!” We eat it right after it comes out of the oven. It is so good! Over the next few weeks we’ll enjoy the sweet succulent berries. I don’t pick very much after the 2nd week of July unless I want to fight the June bugs, stink bugs, and fruit flies that take over the plants. In response to the Daily Post’s Photo Challenge Treat. Oh man that sounds good. Things to tuck away in my memory for later. I love blackberries! 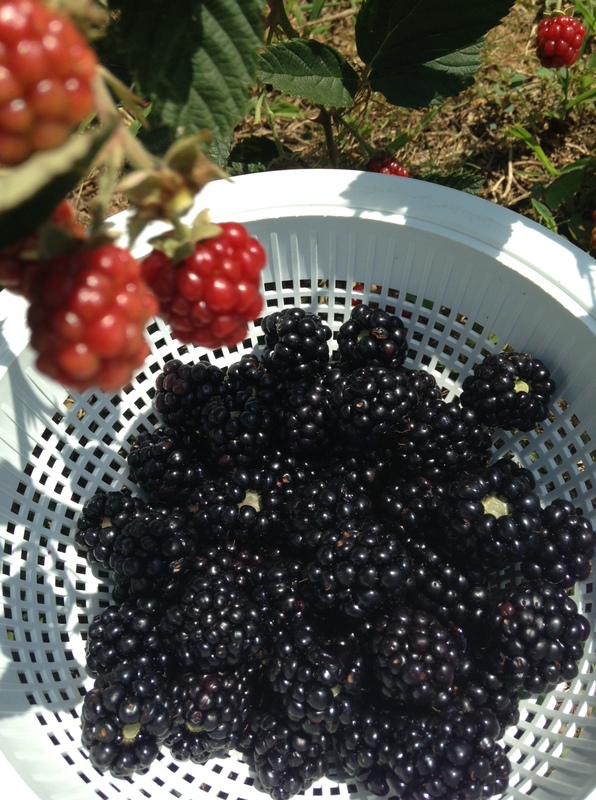 I used to go black berry picking with my mother when i was a child and have very fond memories. Living in Bali, we do not have any berries, but I am going back to England next week, and hope to find some! I have good memories of blackberry picking too. I hope you find bountiful basketfuls in England. Looks delicious! Would you like to trade some of those blackberries for some of the cherries from our cherry tree? We have already picked twice and there are still more. Yes, I love cherries, too. But I’ve never picked them. Ours are gone now. Eat up by the birds and bugs. But we love them while they’re here. This sounds so very delicious. What a great summer memory too. Yes, it’s one I look forward to every summer. This made me hungry! Here in Georgia I make peach cobbler exactly the same except there is no need to cook the peaches first. Also works great with blueberries.